I am currently working on 'Our Brown Roots' which will be a book about my father's family. This is a small portion of that book. Note: This is a work in progress & may be changed as more evidence is collected. 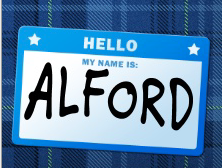 Julius Alford, born September 1717 in New Kent, Virginia, was the youngest son of James Alford and the grandson of John Alford. [i] He was in his teens when his father died. By the time Julius was 30 he was in North Carolina with his wife, Lucy and their first child, John. He and Lucy had seven children: John Alford, Isaac Alford, Goodrich Alford, Polly Alford, Sarah Alford, Jacob Alford[ii] and Job Alford. Both Julius Alford and his brother, Lodwick, were a part of that militia. [i] National Society of the Colonial Dames of America in the State of Virginia, The Parish Register of Saint Peter's New Kent, County, Virginia 1680-1787 [Parish Record Series, No. 2] (Greenville, SC: Southern Historical Press, Inc.) 73. [ii] Saunders, C. A., My Alford Heritage [Limited Edition] (Texas: Morgan Printing, 2005). [iii] The Vestry book of Saint Peter's Parish, 1682-1758; New Kent County, Va., (Parish Record Series, No. 3). (1905). The National Society of the Colonial Dames of America in the State of Virginia. Reprint by Southern Historical Press, Greenville, SC, 2006. Page 172. [iv] Alford, James P., Alford and Their Kin in Early North Carolina, Part I, (AAFA Action, March 1990, Issue 8). [v]Pam Thornton, Granville History, The Early History; Granville County Museum; (granvillemuseumnc.org/granville.html: accessed 2016). [vi] Turner, Joseph Kelly and John L Bridgers Jr., History of Edgecombe County, North Carolina, Reprint (London: Forgotten Books, 2015) 34. [vii] Turner, Joseph Kelly and John L Bridgers Jr., History of Edgecombe County, North Carolina, Reprint (London: Forgotten Books, 2015) 34. [viii] Alford, James P., Alford and Their Kin in Early North Carolina, Part I, (AAFA Action, March 1990, Issue 8). [ix] Ratcliff, Clarence E., North Carolina Taxpayers 1701–1786. (Baltimore, MD: Genealogical Publishing Co., 1984) 3. [x] Corbitt, David Leroy. The Formation of the North Carolina Counties, 1663 – 1943 (Raleigh, NC: North Carolina Division of Archives and History, 1987). [xi] Holcomb, Brent. Bute County, North Carolina Minutes of the Court of Pleas and Quarter Sessions 1767–1779. (Columbia, SC: no publisher, 1988). 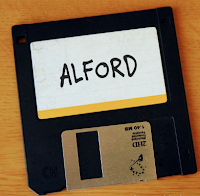 James Alford, oldest son of John Alford is our direct ancestor. He was born circa 1687 in New Kent, Virginia. [i] There are no records to tell us the names of James’ mother or wife but we do know of five sons of James: Lodwick Alford (b circa 1707[ii]), Goodrich Alford (b circa 1710[iii]), James Alford (b 7 February 1713[iv]), Warren Alford (b August 1715[v]) and Julius Alford (b September 1717[vi]). Three of his sons moved across the border from Virginia to North Carolina. The Native Americans remained undisturbed for decades. When new pioneers started to move into that region again they came, not from Europe, but from Virginia. [xiii] As available land in Virginia became scarce and the continuous cultivation of tobacco depleted the fertility of the land the exodus south increased. In 1730 the population of North Carolina was approximately 30,000 whites and 6,000 blacks. By 1775 there were more than 265,000 whites and 10,00 blacks. There were several reasons for the population explosion. Land companies persuaded many to come, pointing out the mild temperatures and the fertility of the soil. A spirit of adventure lured many young men and women. Missionary zeal inspired others to follow the path to North Carolina. [xv] We don’t know if their reasons were economic, political, religious or personal but we do know our Alford family was a part of that population. Three sons of James Alford, Lodwick Alford (b c 1707[xvi]), Goodrich Alford (b c 1710[xvii]) and Julius Alford (b September 1717[xviii]), moved from their birthplace in New Kent, Virginia to North Carolina. In October 1735 all three brothers were in Saint Peter’s Parish. [xix] They journeyed south with their families. Initially the Alford brothers can be found in Edgecombe County. Later, Edgecombe was split to form Granville County. Later still Granville County was split to form Bute County which was short lived and abolished in 1779 when it was divided into Warren County and Franklin County. When searching records for our family several counties must be researched. [i] Saunders, C. A., My Alford Heritage [Limited Edition] (Texas: Morgan Printing, 2005). [ii] Alford, Gil, Virginia Alfords: The New Kent County Years (AAFA Action, Summer 1994) 48 – 51. 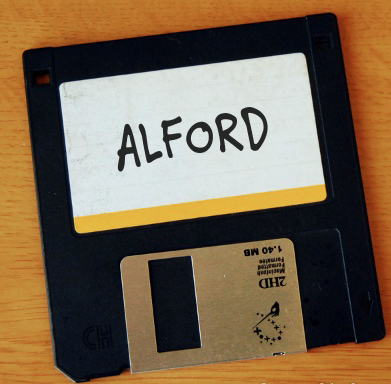 [iii] Alford, Gil, Virginia Alfords: The New Kent County Years (AAFA Action, Summer 1994) 48 – 51. [iv] “Virginia Births and Christenings, 1584 – 1917,” Family Search (familysearch.org. accessed 2016), James Alford, 7 Feb 1713. [v] National Society of the Colonial Dames of America in the State of Virginia, The Parish Register of Saint Peter's New Kent, County, Virginia 1680-1787 [Parish Record Series, No. 2] (Greenville, SC: Southern Historical Press, Inc.) 10. [vi] National Society of the Colonial Dames of America in the State of Virginia, The Parish Register of Saint Peter's New Kent, County, Virginia 1680-1787 [Parish Record Series, No. 2] (Greenville, SC: Southern Historical Press, Inc.) 73. [vii] Alford, Gil, Virginia Alfords: The New Kent County Years (AAFA Action, Summer 1994) 48 – 51. [viii] The National Society of the Colonial Dames of America in the State of Virginia ,The Vestry book of Saint Peter's Parish, 1682-1758; New Kent County, Va., [Parish Record Series, No. 3] (Greenville, SC: Southern Historical Press, 2006) 131. [ix] Saunders, C. A., My Alford Heritage [Limited Edition] (Texas: Morgan Printing, 2005). [xi] Fenn, E. A., The Way We Lived in North Carolina. (Chapel Hill: The University of North Carolina Press, 2003) Page 26. [xii] Smallwood, A. D., Bertie County: an Eastern Carolina History (Charleston, SC: Arcadia, 2002) 12 – 15. [xiii] Fenn, E. A., The Way We Lived in North Carolina. (Chapel Hill: The University of North Carolina Press, 2003) Page 26. [xiv] Powell, W. S., North Carolina Through Four Centuries. (Chapel Hill: University of North Carolina Press, 1989) 104. [xv] Powell, W. S., North Carolina Through Four Centuries. (Chapel Hill: University of North Carolina Press, 1989) 105. [xvi] Alford, Gil, Virginia Alfords: The New Kent County Years (AAFA Action, Summer 1994) 48 – 51. [xvii] Alford, Gil, Virginia Alfords: The New Kent County Years (AAFA Action, Summer 1994) 48 – 51. [xviii] National Society of the Colonial Dames of America in the State of Virginia, The Parish Register of Saint Peter's New Kent, County, Virginia 1680-1787 [Parish Record Series, No. 2] (Greenville, SC: Southern Historical Press, Inc.) Page 73. [xix] The National Society of the Colonial Dames of America in the State of Virginia, The Vestry Book of Saint Peter's Parish, 1682-1758; New Kent County, Va., [Parish Record Series, No. 3] (Greenville, SC: Southern Historical Press, 2006) Page 172.